Sometimes you want to paint a chalkboard wall that isn't the normal black or green. There are ways to make your own chalkboard paint. But here is an easy-peasy way to turn any paint into chalkboard paint. And it's how I created the chalkboard wall in the loft bedroom. 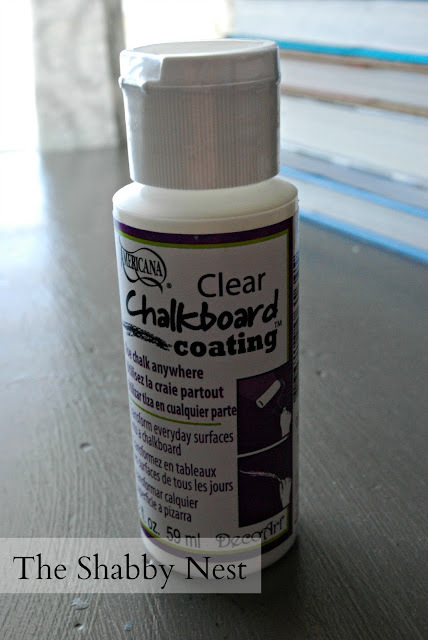 It's called Clear Chalkboard Coating by Americana. I got a sample in my swag bag from SNAP! 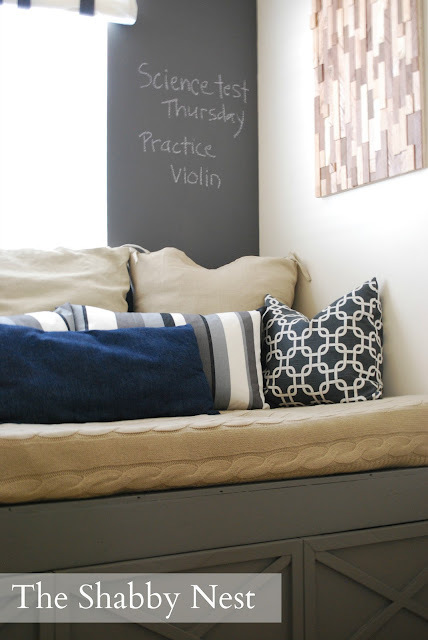 last year and finally got around to trying it when I decided that I wanted to create a chalkboard wall for the loft bedroom, but wanted to use paint we already had. The process was extremely simple. 1. 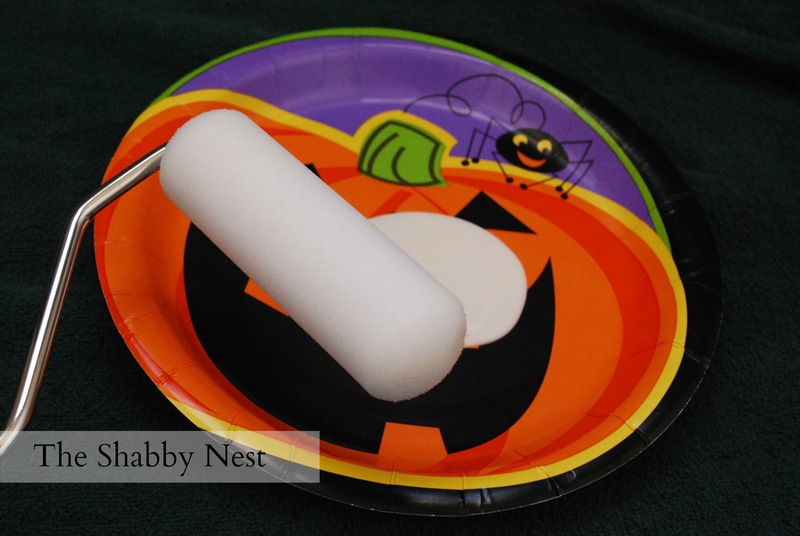 I rounded up a foam roller and a paper plate - way to recycle an old Halloween plate, huh? - and poured a small amount of the coating onto the plate. 2. 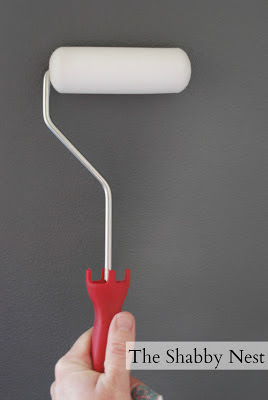 I used the roller to coat the wall vertically, and then again horizontally. 3. 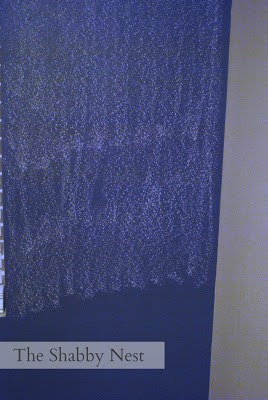 Once the wall had dried thoroughly, I seasoned it by rubbing chalk over the entire thing and then washing it off with a damp rag. And that's all there is to it. 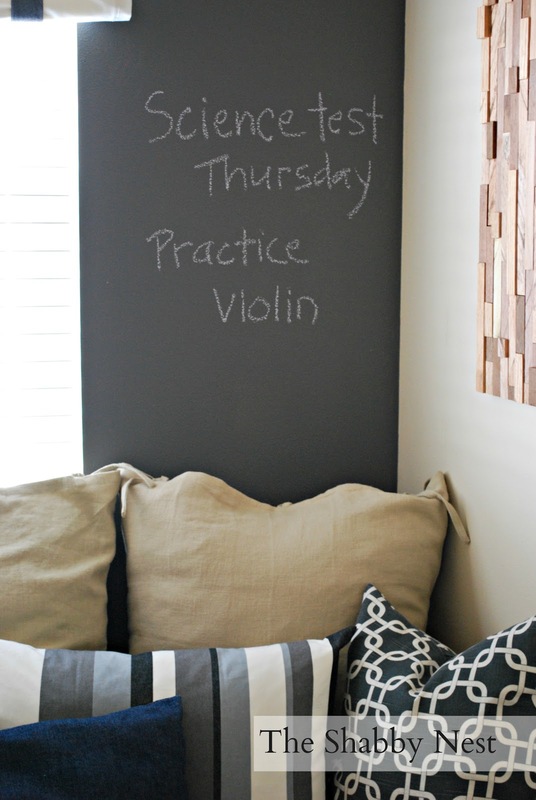 A chalkboard wall out of any type of paint you already have! Miss any of the posts about the Loft Bedroom? NEVER knew a product like this existed - how brilliant!!! Thanks for sharing - it's great to know! So glad you posted this! I am guessing you are a night owl just like yours truly! Thanks for sharing! Awesome product. Can't wait to try it myself! I just recently heard about this stuff! Endless possibilites! How wonderful! This will be great for both a wall and all the smaller projects that are out there. Love the Halloween plate - I'd do the same! I can't wait to try this product! Awesome! Thanks for sharing the details. Thanks for sharing about this! I'm going to have to try it!